Cut Throat Finches take on chaotic political discourse with their sophomore LP. No matter where your personal inclinations lie on the spectrum of ideology, you have to acknowledge that the last two and a half years have seen unprecedented division among the body politic. While we’ve seen actors, writers, and even rappers weigh in on the growing cultural rift, one artistic medium that has seemed to remain inexplicably mum on the subject is rock ’n’ roll. Sean Russell wants to change that. 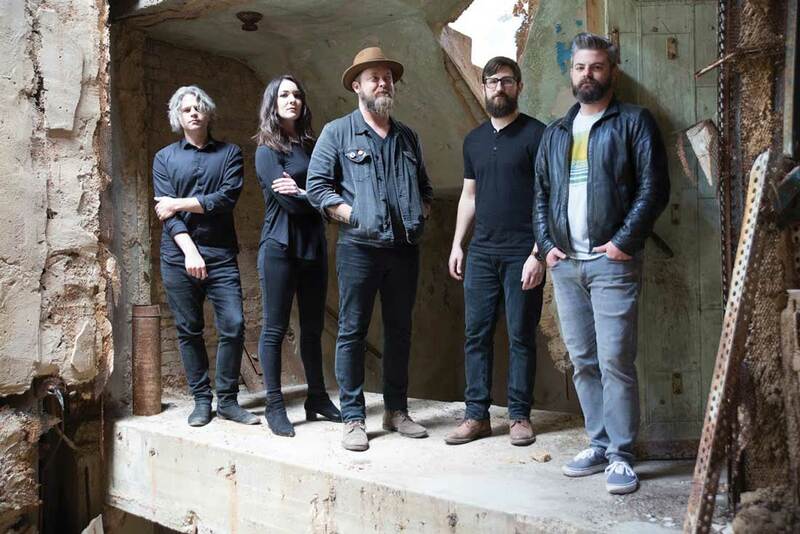 The frontman for roots-tinged indie rockers Cut Throat Finches said he’s been surprised by the disconnect between what opinions musicians will voice while sitting next to you on a barstool and what they sing about on stage. Looking at Russell’s musical history, he seems an unlikely voice to take on the country’s toxic political environment. He started out as a folk-pop singer-songwriter focused on self-deprecating confessionals and standard love songs. But as the divisive political climate continued to heat up, Russell found he couldn’t ignore it anymore. 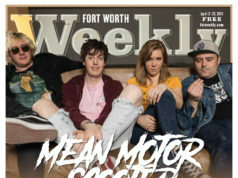 Russell’s attempt to connect Cut Throat Finches’ music and their feelings about the state of American political culture resulted in Polite Conversation, the Fort Worth five-piece’s new LP that was just released via Dallas-based Hand Drawn Records. Leading with the single “New Age” – its accompanying video features an amusing cameo of Lola’s Saloon owner Brian Forella in an Uncle Sam outfit – Polite Conversation is made up of 10 songs that wrap social commentary in a sugary coating of infectious British-style pop while avoiding proselytizing about any specific worldview. With the new record, Russell was determined to put together a group of musicians that would be able to contribute to the writing process. 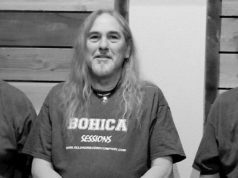 After Ruse moved to town from Austin, guitarist/producer Taylor Tatsch (Shadows of Jets, Maren Morris) joined the Finches’ permanent cast. The trio later added bassist Robert Paine (Cozy Hawks) and keyboardist Eric Webb to round out the lineup. Working on the tracks two or three at a time at Tatsch’s Audio Styles Recording Studio in Dripping Springs, the band would present the basic structure of the songs to Tatsch, who would then put on his producer’s hat and work out the big-picture vision and suggest arrangements for the songs, as well as engineer and contribute his guitar parts. Russell said he couldn’t be happier with the results.